*Project Connect: I f you are feeling left behind as the world continues evolving with newer and newer technology, we are here to help. We are introducing basic computer courses to facilitate your access to today’s computer/internet –based society. In addition, we will offer instruction on use of the Skype program, enabling you to communicate with family and friends overseas at low cost. *Individual visitations: A very common request: “I live far away and my parent would like a visit from a Rabbi or a volunteer. Would you go and visit my elderly parent”? It’s our pleasure. Whether one is at an elder facility or at his/her own home we will come and pay a visit. This program is targeting a void very prevalent here in South Africa where so many families have emigrated leaving their elderly parents with no local family. Knowing that they can count on Chai Seniors to visit when they get sick or have a specific need has been invaluable to the participants and their families abroad. 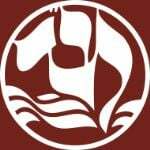 *Monthly Rosh Chodesh Clubs: On the first Hebrew day of each month we host a Rosh Chodesh Club. Me n are invited to come earlier than usual, with Talis and Tefillin, for a lively inspirational morning Shacharit service replete with joyous Hallel, Torah Reading and Musaf. The joyous davening is followed by a festive breakfast and then our regular daily shiur. During lunch the men’s and women’s programmes join for a special Rosh Chodesh feast with a guest speaker. Finally, a cake is presented in honour of all the coming month’s birthdays. 100% delicious and 100% Kosher! *Festival Parties:During each Yom Tov we host a grand celebration at the Chabad House. for seniors. The parties have been attracting upwards of 400 people per event and include live music, guest speakers and entertainers, interactive game shows, full course meals, and much more. The parties are celebrated in conjunction with Sukkot in September/October, on Chanukah in December, Tu B’Shvat Seder in January/February, Purim in March, Shavuot Ice Cream & Cheese Cake Feast in May/June. Challah Baking: Senior women come together to learn about the unique mitzvah of baking challah for Shabbat. A mitzvah given to Jewish women exclusively. Seniors also learn the traditional braiding techniques and form their very own challah. Oneg Shabbos: Every Friday, a few hours before sundown, Jewish seniors gather together. The women get to light Shabbos candles and the men make Kiddush on grape juice. Blessings are recited, words of inspiration are shared and special Shabbos songs are sung, as the seniors enjoy special treats all in honour of Shabbos. Seniors Shiurim: Seniors get together to learn about the weekly Torah portion, upcoming Jewish holiday and the historical events connected to them. They socialize with their friends and bet to create beautiful art projects connected to the theme of that week’s lesson. All sessions are completely free of charge and seniors come home with something they’ve created every time. School Plays: Children perform cute, interactive plays throughout the year in various senior homes. These plays bring out important life lessons, bring to life beautiful stories and very often connect to a current Jewish holiday. your school can be part of this education opportunity, contact us to be part of it! Holiday Programmes at Retirement Homes: Seniors experience and learn the meaning behind Jewish holiday’s in a very entertaining, enjoyable, memorable and real way. Theme related gifts and information pamphlets are given out. Often there will be live music, free prize raffles, delicious refreshments, holiday treats, live entertainment and children’s plays. Holiday Home Packages: To those seniors who are homebound or cannot attend Holiday Programs, Chabad House reaches out to them, sending beautiful Holiday packages right to their door. These packages contain holiday related gifts and information pamphlets. Some gifts are honey and apple Rosh Hashanah kits, Menorah and candle kits on Chanukah, Shaloch Manos for Purim, Matzah for Pesach and cheesecakes on Shavuos. Educational Classes at Retirement Homes: Rabbis Katz, Carlebach, Kievman,and other Chabad House rabbis give educational classes to many senior homes around the Gauteng. These interactive classes include the current weekly Torah portion, life lessons, Jewish history, stories and Jewish holiday tradition. Volunteers: Our volunteers willingly and lovingly give half an hour of their time every week to visit lonely\isolated seniors. For the elderly there is great joy and appreciation, and for the volunteer this is a most rewarding experience.